It seems like we’ve heard those words too many times to count since the first Spider-Man film was released in 2002. Since the release of that film, starring Toby Maguire, there have been a grand total of nine films featuring the famed web-slinger in different capacities. With so many different iterations, shouldn’t we be sick of Spider-Man by now? 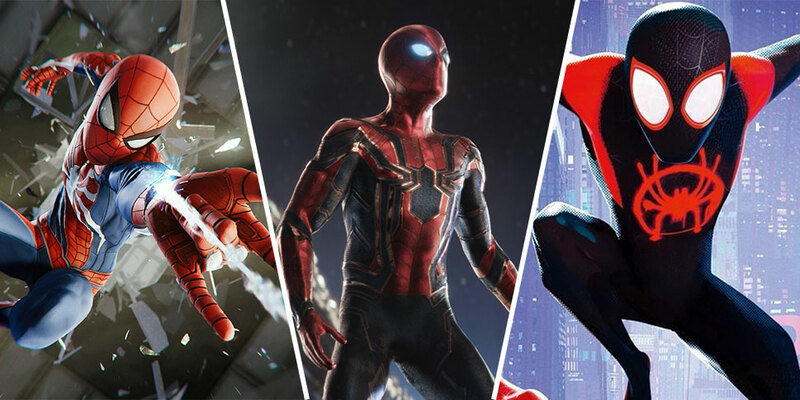 2018 turned to be a banner year for the Spider-Man character and shows that he isn’t slowing down anytime soon. Last year gave us three spectacular iterations of Spider-Man, each very different but equally contributive to Spider-Man having the best 2018. First, let’s take a look at the current live-action Spider-Man. Since joining the Marvel Cinematic Universe in 2016’s Captain America: Civil War, current Spider-Man actor Tom Holland has garnered worldwide acclaim for this portrayal of the web-slinger. The late Stan Lee himself (God rest his soul) commented that Holland best embodies the way Lee envisioned the character when Spider-Man was created. After Civil War, Holland went on to star in his own Spider-Man: Homecoming, which received critical and audience praise- the film holds a 92% critic rating and 88% audience rating on Rotten Tomatoes. And then, it all came to a head with 2018’s cinematic marvel (haha) Avengers: Infinity War. 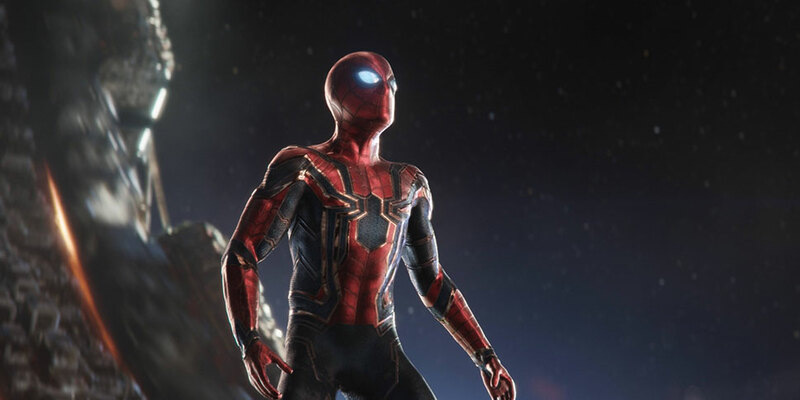 Fairly early in the movie, viewers were finally able to see the Iron-Spider suit in action after it was teased at the end of Spider-Man: Homecoming. Not only did this bring Holland’s Spider-Man to a whole new level, but it got fans hyped up to see what could come next. But then, as we all know, tragedy struck at the end of Infinity War. Peter’s death was set up to be the most emotional of the lot, and it definitely delivered. But how, might you ask, does this contribute to Spider-Man having the best 2018? Because fans WANT their Spider-Man back. Anticipation for Avengers: Endgame is at an all time high, and the fans are desperate to see their friendly, neighborhood Spider-Man swinging again. And with the release of the Spider-Man: Far From Home trailer, Spidey-mania won’t be dying down anytime soon. 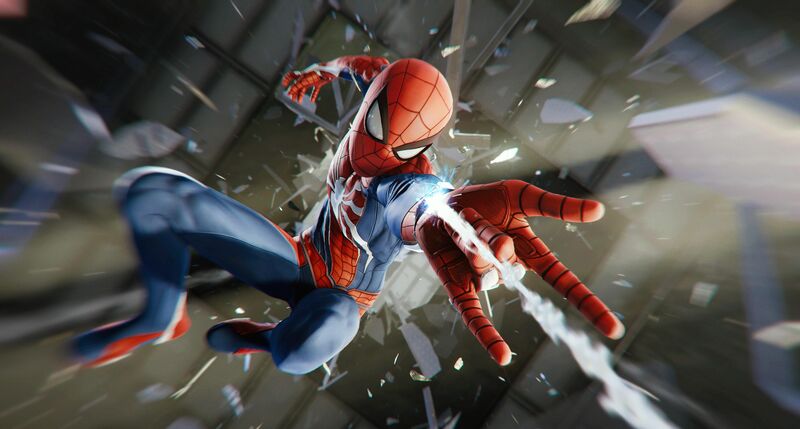 In September, the minds behind classic games like Spyro the Dragon and Ratchet & Clank, Insomniac Games, released Marvel’s Spider-Man on the PS4, and the reception has been nothing short of amazing. Within three days of release, the game had sold over 3.3 million copies, setting a new sales record. As of November 25, the game had sold over 9 million copies worldwide, and numbers continue to climb as Insomniac continues to release new DLC packs to continue the story. The game’s sales is clearly indicative of how well done this game is. Looking at the story alone, Marvel’s Spider-Man gives fans the chance to see a different Spider-Man than we’ve seen before. This Spider-Man is now 23 years old, and has been serving the people of New York for 8 years. The game starts off showing us a quick insight into Peter Parker’s life before jumping full steam into a takedown of one of Spider-Man’s enemies. As the game progresses, players are offered a unique insight into the duality of Peter Parker’s identity. We experience the awkwardness of Peter has he deals with his day-to-day life working to make rent and balancing his love life along with the confidence of Spider-Man as the hero of New York. What’s more, even though he has grown beyond his high-school days, that doesn’t mean Peter isn’t still growing. Without giving too much away, the story dives deeply into the humanity of Spider-Man and the people around him, ending in one of the most emotionally-charged finales I’ve ever experienced in a video game (thanks, in part, to some superb voice acting from Yuri Lowenthal, who voices Peter Parker/Spider-Man). Taking a quick look at the mechanics of the game, whether it’s swinging through skyscrapers or punching villains, every move you make flows smoothly into the next. The side missions allow you to explore more of New York City and interact with different kinds of villains than the base game, plus you get to see what Spider-Man would have to deal with in his regular day-to-day rather than just his giant boss battles. More than anything, this game gives fans a new insight into what it’s actually like to be Spider-Man. What’s great, though, is that it assumes that fans already know a great deal about Spider-Man, because this is not an origin story. We don’t need anymore Peter Parker/Spider-Man origin stories. We can finally learn more about Spider-Man beyond the beginning. In my opinion, this is actually the most comic-accurate embodiment of Spider-Man that we’ve seen to date. And now, we get to the latest iteration of Spider-Man. And let me tell you, this one is the créme de la créme of the Spider-Man stories. 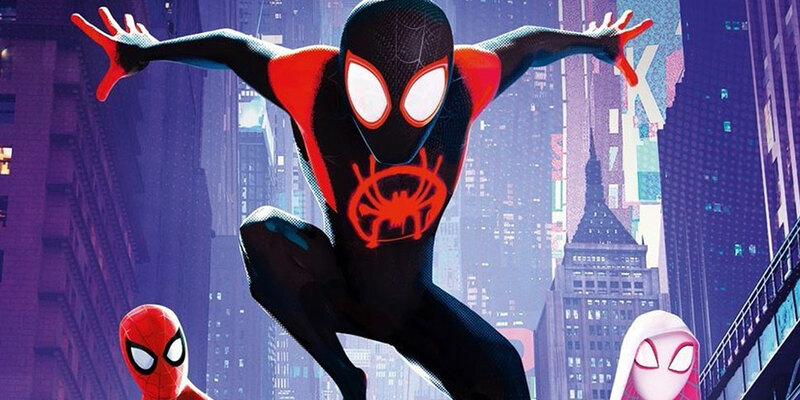 Since being released in December 2018, Spider-Man: Into the Spider-Verse has garnered major critical and audience approval. The film currently holds a 97% critics score on Rotten Tomatoes, but this is not its biggest accolade. As of January 2019, Spider-Man is a Golden Globe winner. That’s right, Spider-Man: Into the Spider-Verse is the 2019 Golden Globe and Critics Choice winner for Best Animated Film. So, what makes this Spider-Man film so great? Well, unlike Spider-Man PS4, which showed players a new side of Peter Parker/Spider-Man, Into the Spider-Verse gives us both a new side of Peter Parker AND an entirely new Spider-Man with Miles Morales. Over the last 17 years since Sam Raimi’s Spider-Man came out, we have had only Peter Parker stories to talk about. Sure, Peter Parker is the most famous of all the Spider-people, but he’s not the only one, as evidenced by this film. And after this film, he may be on the way to passing that “most famous” torch to another. Miles Morales, best known from The Ultimate Spider-Man comics, takes center stage in this film that turns out to be his origin story. So, yes, we got another Spider-Man origin story, and to be honest, his story isn’t so different from Peter Parker’s. But because this one is animated, the storytellers were not hindered by what would be possible to film live. In fact, the animators went with a whole new animation style meant to mimic a moving comic book. They were able to tell Miles’ story in a way that separates him from all previous Peter Parker’s. But that doesn’t mean that Peter Parker doesn’t make an appearance. In fact, we see a new kind of Spider-Man: the middle-aged, chubby, worn out Spider-Man who’s lost the excitement of being Spider-Man. This is such a new form of superhero for audiences. We always see heroes in their prime, but what happens when heroes lose their way? Spider-Man is famous as the hero that loves being a hero, and now we get to see him learn to love it again. This is a film that just gives us everything. It’s action-packed and funny. It gives nods to all the previous Spider-Man films. It gives us new characters to enjoy while also paying homage to the past. It’s everything I think audiences could have wanted and more. And after all the success it’s had, I would be shocked if Spider-Verse doesn’t go on to win the Oscar for Animated Feature this year. Talk about a top-notch year. As of now, we don’t know whether FFH takes place before or after Endgame, and odds are we won’t find out until Endgame. GAHHH I need April to be here already. Now, while this hasn’t yet been confirmed, there is speculation that we may be seeing some continuation of the Spider-Man PS4 game. Most likely, this will be in the form of a DLC, similar to “The City That Never Sleeps” DLC package released October-December. There are even rumors that it may also include a team-up with the Fantastic Four. So, who knows? But, even if we don’t get a new DLC this year, after the success of the first game, along with the cliffhanger ending, we are almost guaranteed to get a sequel sometime in the future. All we can ask is for the time to pass quickly. As for Spider-Verse, this will not be the last that we see of young Miles Morales. Even before the film debuted in December, there was already discussion of an all-female spinoff film that will follow another character from the movie, Spider-Gwen. With a whole roster of Spider-people to choose from, this one will probably rock the box office. And after the critical and award-winning success of Spider-Verse, discussions about the sequel are already well underway. It was even teased by the directors at the Critics Choice Awards that there may be a 2-year time jump. So, while we don’t really have any information on the sequel yet, I’m sure we’ll hear something soon enough. Why is the Character So Successful? But, after all this, one question still remains: why? Why does this character, which has been around for so many years, and with SO many interpretations, continue to be successful after all this time? Well, I believe it is because Spider-Man is the hero next door. He’s not flashy, he’s not rich, he’s not a spy. He’s just a guy who got bitten by a spider and uses his abilities to protect people. 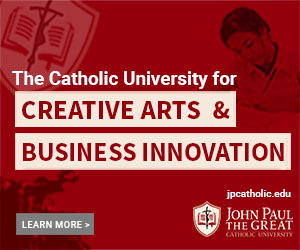 He has to face the same things that we all face- money, love, job fulfillment, balancing life. And he struggles to do it all, just as we all do. In Into the Spider-Verse, there’s a great line that goes something like “It could be anyone behind the mask.” Spider-Man could be anyone. We all have a hero inside us. We just have to have the courage to show it. So, again I ask, why? Simply put, because he is us.